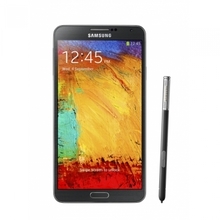 Sell your Samsung Galaxy Note 3 N9005 with OnReycle and get the most money. We compare all major phone recyclers in seconds. The Samsung Galaxy Note 3 was released in 2013 and the N9005 version remains a popular device. Offering slightly different features to other standard handsets (such as the Galaxy S5 and S6), it remains a popular choice with Samsung phone users today. However, as with any device within the competitive mobile industry, upgrades have followed: the most recent one being the Note 7, released in 2016. If you have an old Note 3 N9905 and are considering upgrading to a newer version, or selling for another reason, OnRecycle can find you the best price for your smartphone, with the most suitable recycler for your requirements. The relationship between OnRecycle and some of the major recyclers in the industry, has enabled us to link customers with a range of recyclers who will buy your old smartphones from you for a good price. Once you have entered the details of the device you are selling onto the system, a price appears almost instantly, alongside the recycler who is willing to buy the product from you. It couldn't be simpler! The search filter asks users to give details about the handset, whether it be the age or condition of the device (choose from 'new,' 'working' or 'broken') and if it is linked to any network (or unlocked), and this then tells OnRecycle what you have to sell. After searching, the list of recyclers appears, alongside the price, payment terms, payment methods and user rating. Whilst it can be very tempting to choose the recycler who offers you the most money, it is vital that you consider the other details that appear on screen to check that you are dealing with a reputable recycler. We also recommend reading, where possible, some of the reviews left by other consumers. This, hopefully, will leave you with the confidence you need to choose the right recycler for your circumstances. Once you have chosen, simply click on the 'sell now' button and you will either be directed to the recycler's site, or have the option to sell your device through OnRecycle. The process is designed to eliminate the hassle, time and stress caused by receiving multiple quotations from different recyclers. Simply enter the relevant details onto the OnRecycle search tool, and we will do the rest for you! Even if you are unsure as to whether or not you wish to sell your device, a simple search (as instructed above), will not leave you under any obligation to sell your handset at this stage. The N9005 offers a range of services to users, including an S-pen stylus. This takes users away from the keypad, and allows them to input text and images using the stylus. In this way, the device is used similarly to a notebook, hence its name. Due to the notebook facility that it offers, the device is larger than most conventional smartphones, for example the Samsung Galaxy S5 and S6. The N9005 is 79.2 x 151.2 x 8.3mm in size, and weighs 168 grams. The dimensions and weight of the model still give the device good portability and this combines well with its other functions to allow it to be used in a range of scenarios. The N9005 has a touch sensitive, AMOLED screen, with a resolution of 1080 x 1920 pixels. The display is 5.7 inches, which enables it to show off its impressive resolution on photographs. The 13 mega pixel camera produces a high quality photograph and the technology gives users the option of utilising an impressive choice of settings such as touch focus, and face and smile detection. The N9005 allows users to simultaneously record images and videos, and the image and video editor on the device can produce professional-looking results from both. As has become a standard requirement, the N9005 has WIFI, Bluetooth, and a range of other standard mobile device functions. However, it also has a document editor which gives the device a professional feel. This, in combination with the Google products typically installed on Samsung products (e.g. Google search, Google maps, Gmail, etc), means that the device suits users with a range of requirements, both professionally and casually. The range of device types (16gb, 32gb and 64gb) also suggest that its use is not limited to one category of consumer. The Samsung Galaxy Note 3 N9005 is one of a collection of 'Notes' offered by Samsung. Due to the regular release of Samsung products (including the 'note' type), the value of the handset is likely to decrease as technology evolves. However, the product still has a set of extremely useful features, which may be one of the reasons why many people still value it. Contact OnRecycling today to see how much you could receive if you wish to sell your unwanted N9005 device.